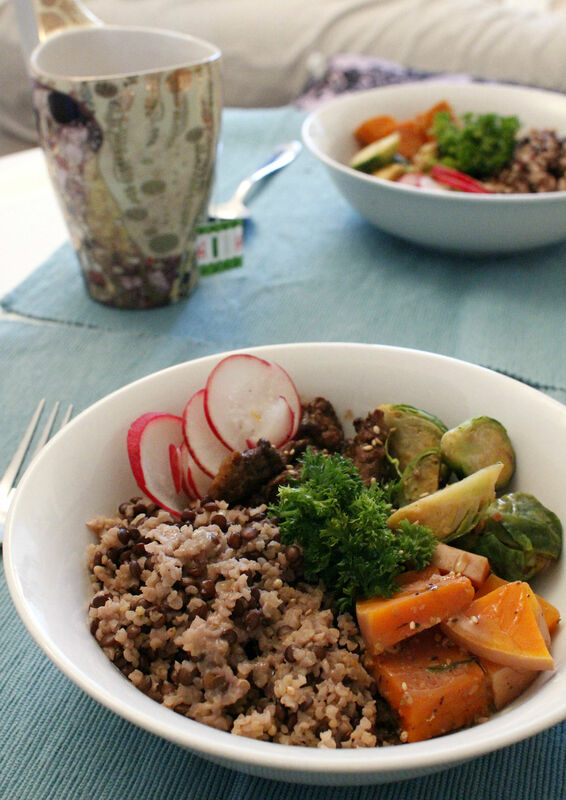 One of my favorite meals is this bibimbap-inspired nourishing bowl loaded with vegetables. Yes, I am quite obsessed with bibimbap. This version is perfect if you are not a fan of chilli. It is a light flavoursome meal yet still filling and satisfying. When fresh vegetables and salty miso come together, it gets somewhat vibrant and uplifting. You can use any seasonal vegetables or whatever you can find in your fridge. A few ingredients and simple steps are totally approachable for weekday dinner or weekend lunch. Cover millet and brown lentils with water in a pot, bring it up to boil, reduce the heat and simmer on low heat for 20 minutes until water is all absorbed. Take it off the heat and set aside with a lid on for another 5-10 minutes. In another pot, add diced butternut pumpkin and brussel sprouts. Mix miso paste and water in a small bowl and pour into a pot. Cook over low heat until veggies are cooked for your liking. Taste and season with salt and pepper. 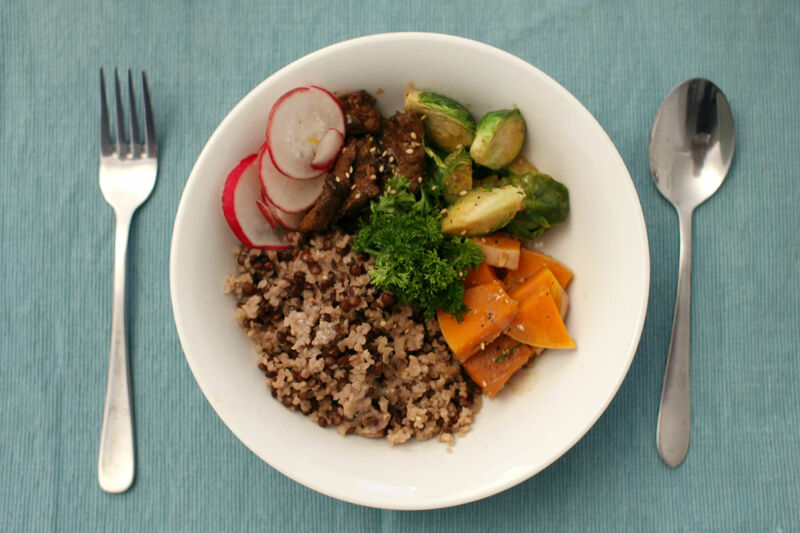 To assemble, arrange rice, miso braised veggies, sliced raw baby radish and chopped parsley in a bowl. Drizzle sesame oil and sprinkle sesame seeds on top. Serve warm.